UPDATE: As of January 11, 2019 this workshop is sold out. Please contact us to get on the waiting list and please do check our other workshops. Join Muench Workshops co-founder Andy Williams and local pro Vladimir Kushnarev on this amazing photographic journey through some of Russia’s most pristine arctic landscapes and culture. 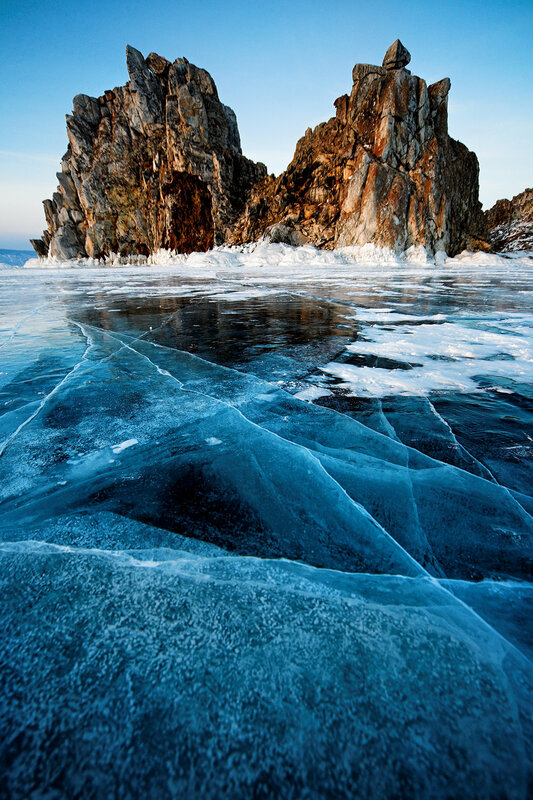 The mountain peaks are covered with snow, and the shallow waters of Lake Baikal are gradually forming ice. The winds from the Baikal and Primorye mountain ridges sweep all the snow to the eastern part of the Lake Baikal, while the severe Siberian frosts keep growing the thick ice cover. By the middle of February the ice is nearly one meter thick. 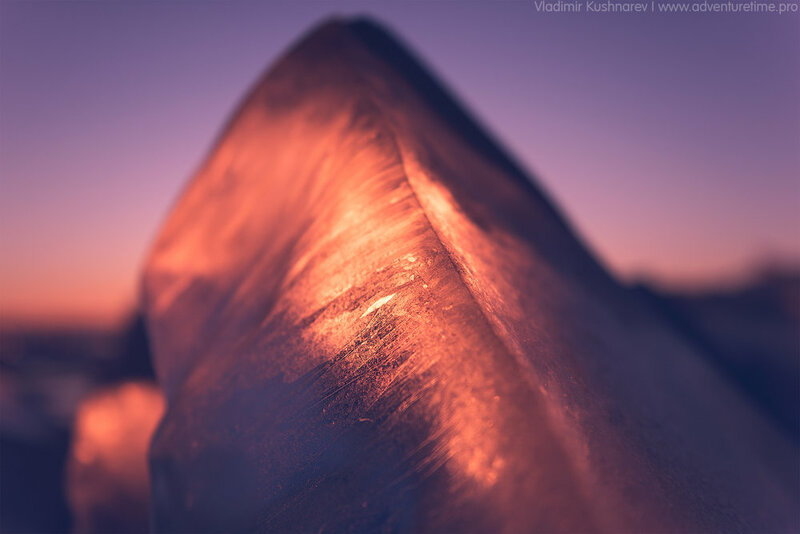 As the winter sun shines on the ice surface, the Baikal ice shell becomes a finely polished mirror. 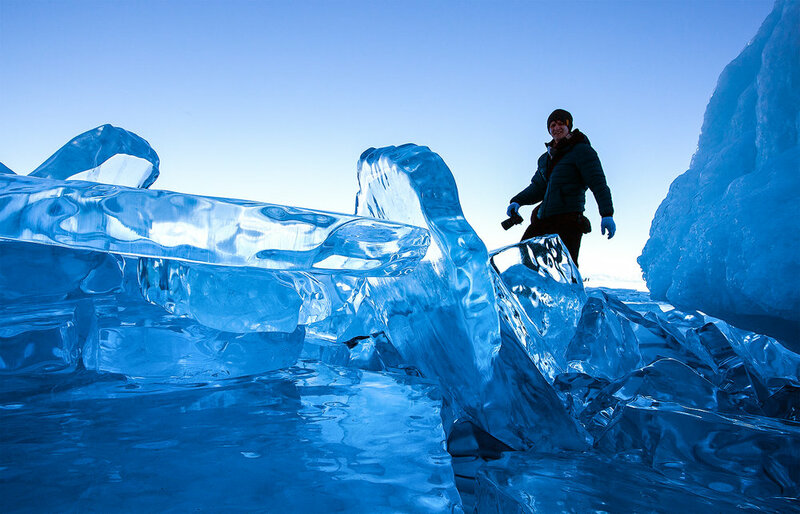 The end of winter is the perfect time to experience the bright sun, fantastic ice statues, and beautiful formations of ice. 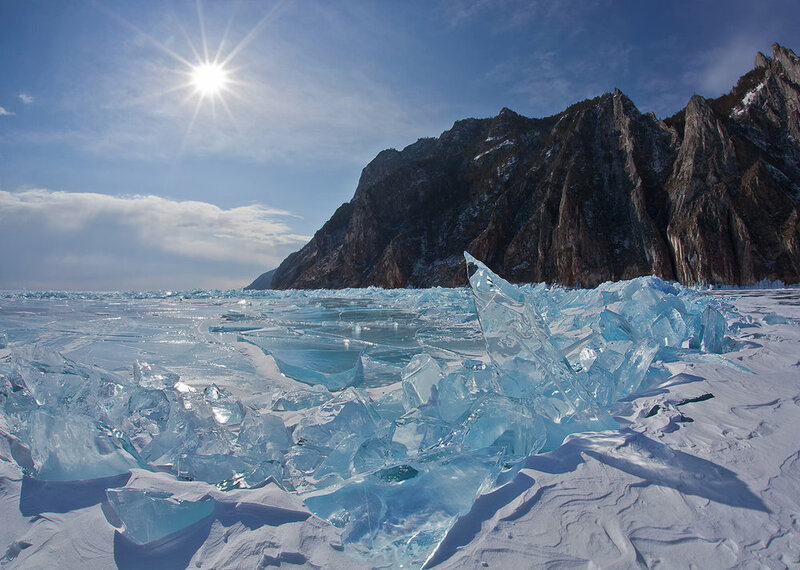 With the sun shining brightly, the daytime temperature will rise above freezing almost every day—but the ice on Baikal is still hard and clear. 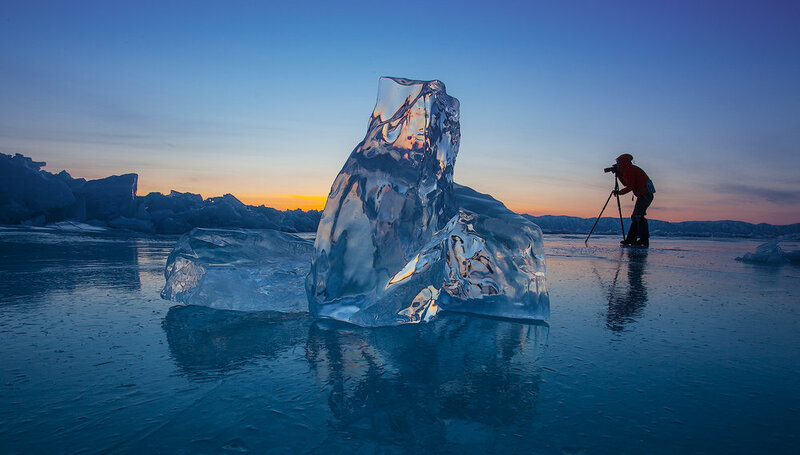 We will have morning and night photo sessions in crystal hummocks by the most beautiful islands of the lake, capturing loads of unforgettable photos as we travel along half of the winter Baikal Lake. 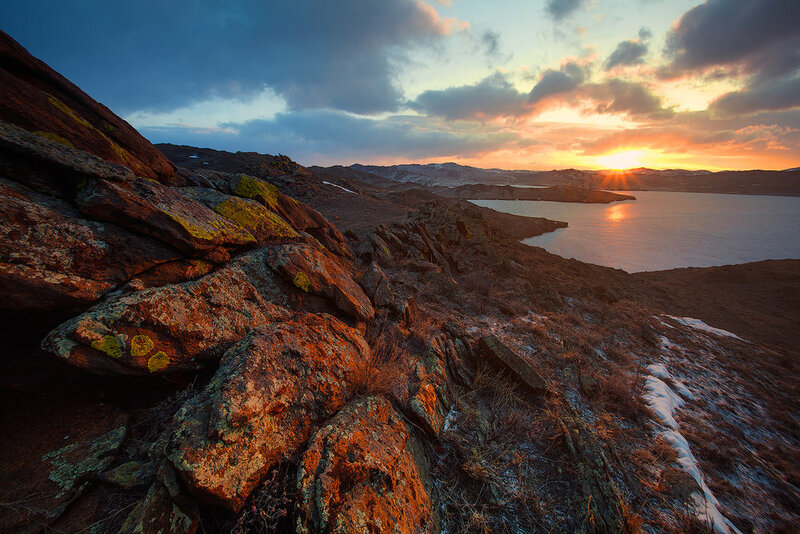 We will visit Olkhon Island, photographing on Shamanka Cliff and in the ice grottos of Cape Hoboy. We will cook fish soup with Baikal omul right on the ice of Baikal. You can even skate on this beautiful lake. 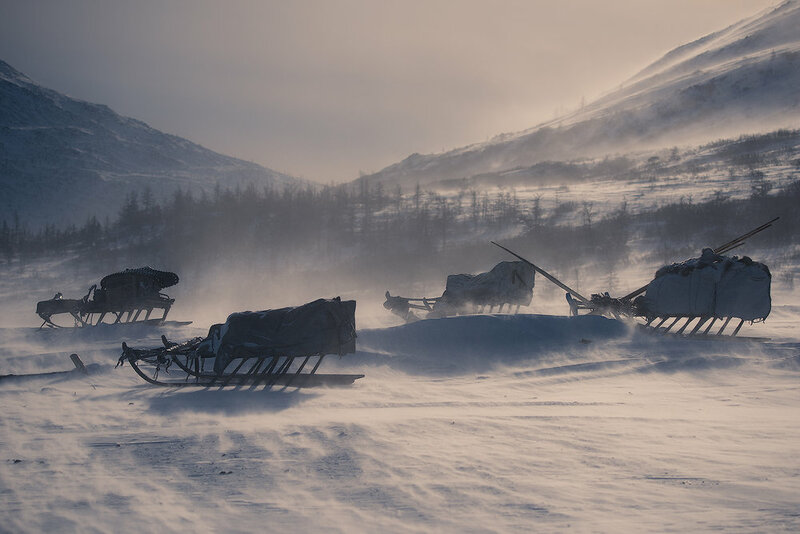 After our time on the ice, we will head back to Moscow for a day, and then move on to the second part of our workshop, the reindeer herders., where we will be immersed in this ancient nomadic culture of the Siberian Arctic. We’ll be staying in the winter camps of Nenets, the nomadic people of Yamal. There are few places as enchantingly remote as the Yamal Peninsula, deep into Siberia’s isolated Arctic region. ‘Yamal’ means ‘edge of the world’ in the language of the indigenous Nenets. 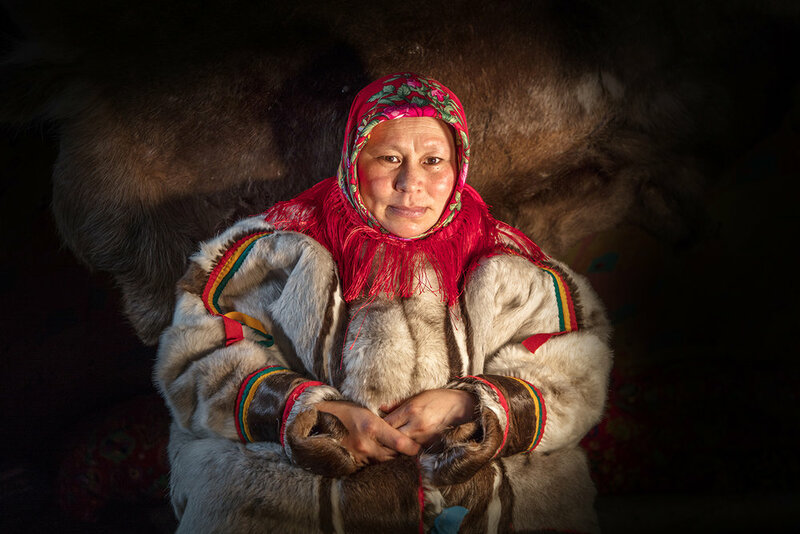 The Nenets of Yamal carve out a unique way of life, seemingly at the limits of human tolerance. Each spring, the Nenets migrate from winter pastures on the Russian mainland to the summer pastures in the Arctic Circle, a one-way journey of up to 1,000 kilometers. This is your chance to experience a small part of this epic journey alongside these extraordinarily resilient people. Together with our hosts, we will eat traditional dishes, predominantly venison, fish, and taiga berries. Of course, there will be more familiar menus available as well. We will rest in sleeping bags, inside a traditional Chum. At night our hosts will run a generator to recharge our camera and computer batteries. Is this workshop for you? If you like remote, exciting travel, photography of beautiful ice, caves, grottoes, and more, in amazing soft winter light, northern lights, immersion in the local culture of one of the last great nomadic people on earth—then yes! If you can handle cold weather, long days and nights of shooting, and living with and photographing the reindeer herders as they do their migration, and as they live, then yes! February 17, 2020: Arrive in Moscow (SVO airport code) this day, before 3:00 PM. Transfer to our hotel, and time to rest after the flight. We’ll kick off our adventure with a group dinner this evening. February 18, 2020: Walk on the Red Square and tour around Moscow after the breakfast. After dinner we will transfer to the airport for our evening overnight flight to Irkutsk. February 19, 2020: Early morning we arrive in Irkutsk. We transfer to Olkhon Island. We’ll have breakfast of Buryat cuisine on our way. Evening and night (depending on the sky condition) photo session on Shamanka Cliff. February 20, 2020: We’ll have an early start out for Uzury. 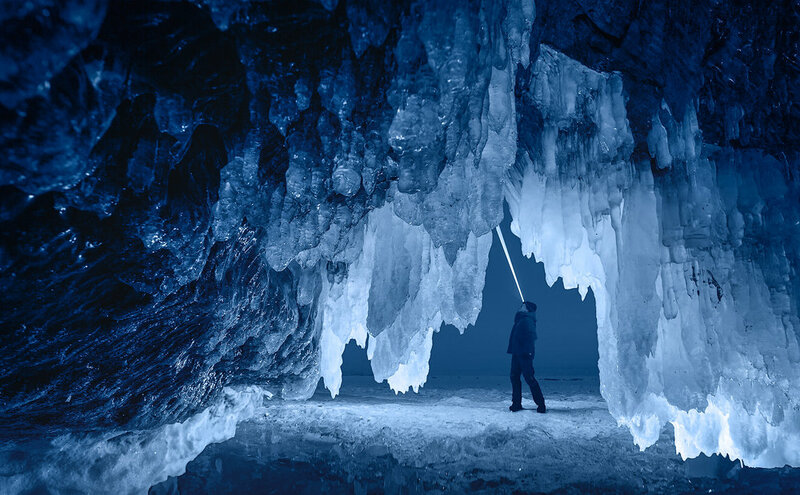 We photograph sunrise in the beautiful ice grottos. After breakfast we are leaving for Cape Hoboy. During February we can see the most beautiful ice there, of tender blueish tint, and ice hummocks build up wonderful conglomerations of crystal ice blocks. We are going to spend a few hours here hunting for masterpieces. This evening, we’ll have a night photo session in the basin of the Maloe Sea or in ice grottos. February 21, 2020: Our morning photo session will be near the island of Ogoy. We are going to explore and to take pictures of the coast and the islands of the Maloe Sea Strait. An evening and possibly a night photo session in the grottos of Kharantsovsky Island or in the grottos of the Maloe Sea. February 22, 2020: We have built in a spare day to allow for bad weather, and as needed, we can repeat shooting at the most interesting locations. February 23, 2020: We are again meeting dawn in the grottos of the Maloe Sea as one visit to those places is never enough. In the afternoon after lunch we travel back to Irkutsk. February 24, 2020: Transfer to the airport in Irkutsk. Our unforgettable journey along the ice Baikal is over. We depart for Moscow at 7:00 AM, arriving at 10:00 AM, and check in to our Moscow hotel, with some time to rest. We’ll have a group dinner in Moscow and a briefing devoted to the second part of our trip. February 25, 2020: We’ll have a full day in Moscow again, to recover, relax, be a tourist, and also to spend time doing our famous image reviews and critique. February 26, 2020: The Reindeer Herders portion of our trip begins. Transfer to airport for our flight to Salekhard. We’ll check in to our hotel, have some downtime, tour the city and enjoy a nice dinner together. February 27, 28, 29, March 1, 2020: We transfer to Nenet’s camp. We will photograph the reindeer herders during the day, and at night we will hope for clear skies so we can photograph the northern lights. March 1, 2020: We are leaving Nenet’s camp after breakfast for Salekhard, where we have a hotel for the night. March 2, 2020: Morning flight departure for Moscow. We’ll have a final goodbye dinner and celebrate an amazing photographic adventure. March 3, 2020: Flights home from Moscow (SVO airport code) anytime this day. Accommodations: In Moscow, we are at a five-star hotel with all the expected amenities: beautiful rooms, safe water, en-suite facilities and Wi-Fi. At Lake Baikal, we are in four-star accommodations, again with safe water, en-suite facilities, and Wi-Fi. At Nenets, we will spend 3 nights in the reindeer herders' tents, together with reindeer herders. Usually 3-4 guests share 1 tent with 3-4 reindeer herders. It is is quite warm in the tent during the day time, because of the oven. But it can be cold at night. We will provide a -30C down sleeping bag. You will bring a travel pillow, sleeping bag liner, and an inflatable air mattress. The toilet facilities are camp-style (outdoors, no running water), and are located near the campsite. There are no showers during this part of the trip, but we will provide for the ability to wash up each day. Yep, it’s cold. But we will show you how to be warm, we promise. We’ll spend considerable time with you making sure you have all the right clothing and gear. Winter photography like this has its challenges and the rewards are amazing. So don’t let this deter you. Transportation: By vehicle, we’ll be in small buses or minivans, with ample room for you and your photography gear. Two seats per participant. Roads will range from paved and smooth to unpaved and bumpy at times. By air, we’ll be in normal commercial airliners. You will have normal luggage restrictions for checked and carry on luggage. Bringing your camera backpacks on board the aircraft will be no problem.1x checked luggage at 23kg, Cabin luggage at 10kg. Extra is OK but you may be required to pay for additional luggage. If requested, there may be upgrades to business class available for the internal flights, just ask us for availability and extra cost. Air travel from your home to Moscow, Russia and back. Russian Visa (we have a service we will recommend to you). Any meals and accommodations before or after the workshop dates. Medical Evacuation Insurance (required). Travel Medical and Trip Cancellation Insurance (optional, but recommended). Items of a personal nature. Alcoholic beverages. Anything not specifically listed as included. Some special gear that you’ll need: Katoolah microspikes, a sleeping bag liner, and a travel pillow. You are free to choose other brands but you will need these items. Your deposit of $4,000 will secure your place on this workshop. A second payment of $4,000 will be due on June 1, 2019 The balance of $3,995 will be due not later than November 1, 2019. All of our standard terms and conditions apply. Need special payment arrangements for your deposit? No problem, just ask us. Are you still hesitating? Watch the videos again, and then click the Sign Me Up! button. This workshop will fill fast. We’ll see you at Lake Baikal!